MBDA launched the CRISTAL*project which aims to further extend the maturity level of the composite material moulding technology from the Carbone Forgé company, as required in order to be able to use it in aeronautical and defence applications. The patented technology should allow automated production of complex shapes to be achieved, using long-fibre and high-performance materials. The objective is to reduce the cost of these parts by 40%, compared to the conventional composite technologies of the layup + autoclave type, and to cover applications in which most of the parts are still made of metal. The CRISTAL project was launched in September 2009 and has been labelled by the ASTech competitiveness cluster of the Ile-de-France region and co-labelled by the Plastipolis (Rhône-Alpes region) and Pégase (Provence-Alpes-Côte d’Azur region) clusters. 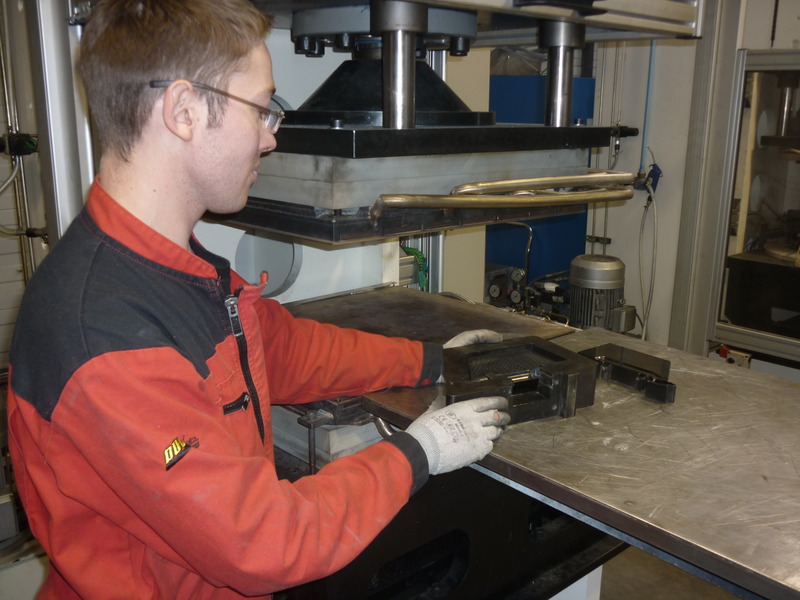 During the three years of the project, the work will consist in developing material databases, and demonstrators, performing modelling operations to allow designers to predict the characteristics of the parts made according to this process, and developing non-destructive testing resources and methods specifically tailored to the exact morphology and cost of the parts. MBDA is the leading partner of the CRISTAL project. The other partners are Armines (Mines de Paris), Atmostat, CARMA, Daher, EADS Innovation Works, Eurocopter, INSA (Lyon), Schappe Techniques, SNECMA, Carbone Forgé, Université Aix Méditerranée. Apart from the labelling by the ASTech Astech, Plastipolis and Pegase competitiveness clusters, the CRISTAL project also benefits from financial support by the French cross-ministerial fund (which includes DGA - Direction Générale de l’Armement – and the Direction Générale de la Compétitivité, de l’Industrie et des Services), the general Council of the Ain region, the Rhône Alpes region, the general council of the Alpes Maritimes region and the European Regional Development Fund. For MBDA, the CRISTAL project is part of a more global approach that involves cooperation with innovative SMEs in order to leverage the skills available in the industry, which the Company needs in high-tech, military and dual applications.